El Senor de los Temblores (Lord of the Earthquakes) - late March / early April, a colourful procession held on the Monday prior to Easter, thanking the Lord of Earthquakes for saving Cusco from destruction in the powerful earthquake that hit the city in 1650. Festival de la Cerveza Cusquena - the Cusco Beer festival - May / June, one of the leading music festivals in South America, lasting three days of merriment, music and beer. Corpus Christi - Celebrated on the 9th Thursday after easter. A Catholic festival celebrating the Eucharist. 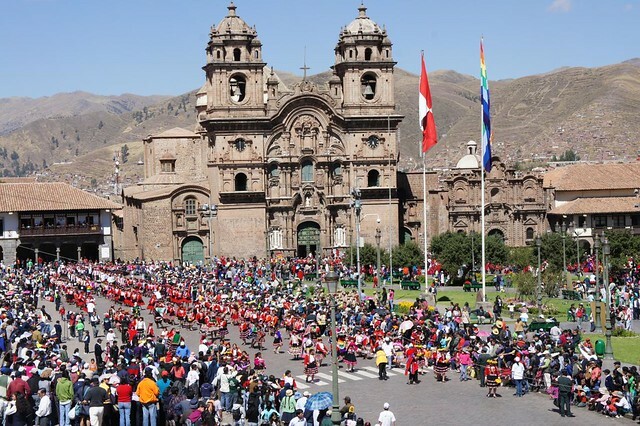 Once again, the focal point of festivities is the central square, where processions will culminate at the cathedral. Santuranticuy Artisan Crafts Fair - December 24th, On Christmas eve every year, a major crafts fair is held in Cusco, at the Plaza de Armas. Stop searching and speak to someone who knows.